There are many things that set Legacy School apart, but there are three qualities that make it truly unique. The quality of teachers, small class sizes, and differentiated instruction mean children get an education that’s tailor-made just for them. 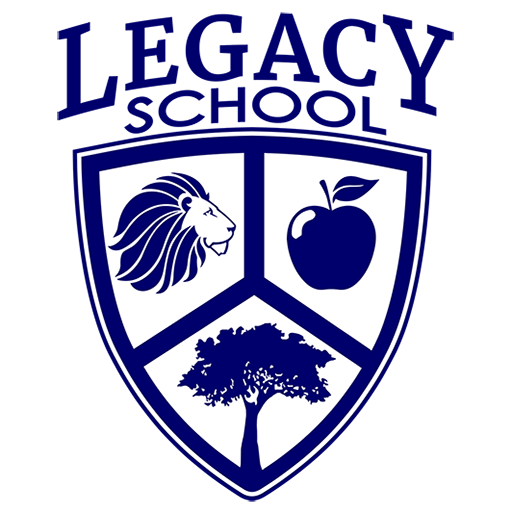 At Legacy School, you find teachers who truly care about your children – who take the time to get to know them, their unique learning styles, their strengths and weaknesses – and then educate to them. I never expected my son to love school, but at Legacy School, every day has been a great day. That’s not an exaggeration. He bounds home after school each day, excited about what he has accomplished. When you find a school that works to make every day a ‘great day’ for all of its kids, fostering their independence and creativity and offering an exceptional level of instruction, you know you’ve found the best. The staff at Legacy School is tremendous — caring, kind and completely focused on helping the kids learn, grow and have fun together. The school puts a huge focus on giving back, and offers opportunities to give each month through their Giving Tree. And, they go above and beyond by hosting school parades during Halloween, making Christmas programs super special, hosting a Grandparents Day, a Dads & Donuts day, and the very best of all, a Mother’s Day Tea. Our child loves the teachers, aides and staff. I would highly recommend Legacy School to anyone looking for a great school! I am proud to say our family was with Legacy from the beginning. I watched two dedicated teachers’ dreams grow into a beautiful school my children looked forward to attending each day. As a school parent, it is very evident each decision Mrs. Baca and Mrs. Pedersen make for their students is done so with great care. They have handpicked the very best of teachers and teachers’ aides to nurture and educate their students. The curriculum is set at each child’s pace and from what I’ve seen; each child has their moment to shine. I encourage you to tour the school because their set up is so innovative with an area of interest for every child. Legacy School has given my children a real love for learning, and that is very important to their educational journey. Our daughter attended Legacy School when they opened their doors in 2008. While attending Legacy, she grew an incredible amount – not only academically, but also emotionally and socially. We credited this growth to the staff and the program Legacy School provides. We feel extremely blessed that we found such a wonderful school and caring, educated teachers. Legacy School is such an asset to this community and is truly beneficial to the children that attend. At Legacy School teachers understand that students have differing needs when it comes to learning. That’s why we use a differentiated instruction approach in which teachers proactively plan their lessons based on their students strengths. With this style of learning, teaching is evolutionary as students and teachers learn together. While the teachers may know more about the subject at hand, they are always learning about how their students learn. In turn, teachers are able to refine each child’s learning experience by providing learning activities that cater to the students’ strengths, not by a one-size-fits all learning approach. Legacy School is situated on 11 acres of land, allowing for expressive, outdoor educational experiences for all our students. Children are able to learn on their own terms in an environment that is surrounded by a barnyard that holds both chickens and goats, a farm to table garden, a baseball and soccer field, a obstacle course, and much more. Our outdoor learning and playing space allows for real world experiences that cannot be found anywhere else. Legacy School is proud to unveil our new Legacy School Scholarship Program. Students who attend Legacy from 1st-6th grade are eligible for a $500 scholarship towards higher learning. This scholarship can be used for college or trade school upon graduation from high school. We are very excited to give back to our students. We know each child has the potential to succeed at whatever goal they set for themselves. We can’t wait to help your student celebrate their high school accomplishments and continue to their higher education.